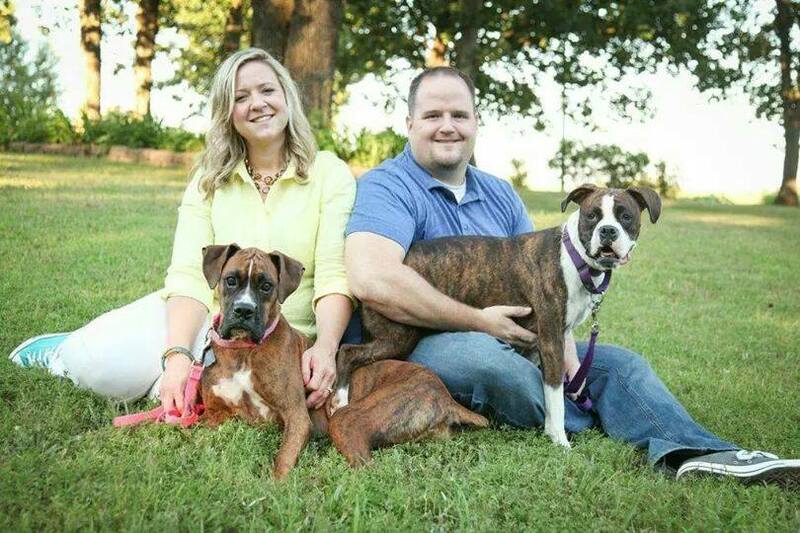 Volunteer Spotlight: Meet Ken and Tiffany Heineman and Alumni Xander and Alumni Ruby (from our sister rescue Missouri Valley Boxer Club). Tiffany is our St. Louis guru. 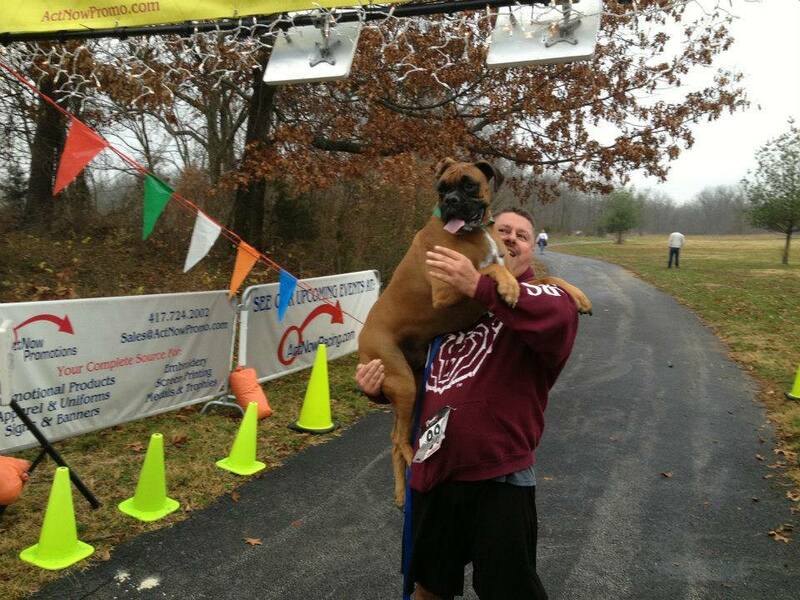 She can be found running all over St.Louis and surrounding area doing… home visits for us. 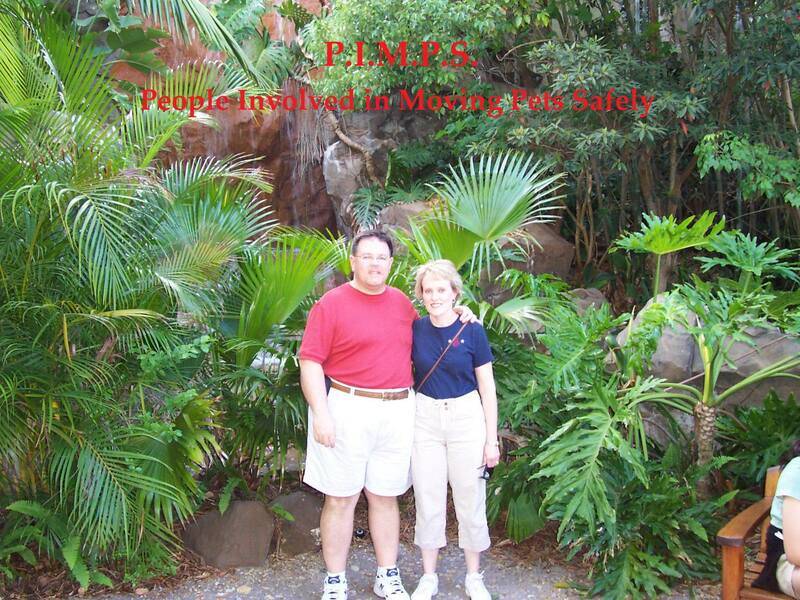 She and Ken often help with transporting dogs out of St. Louis. 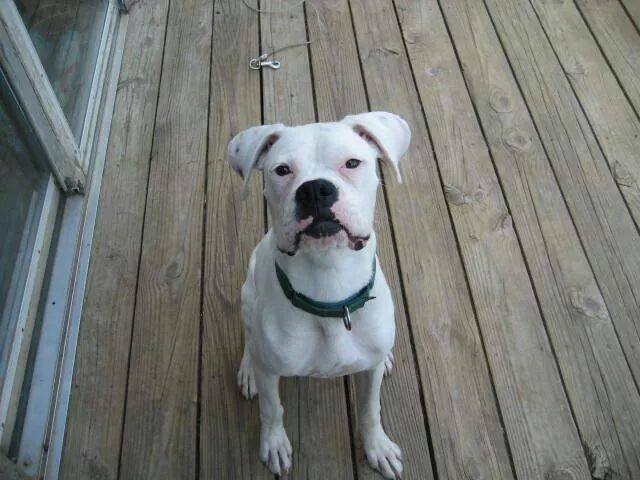 Little did they know when a sweet little white boxer boy suckered them into adopting him that so much work would be involved and not because of Xander! 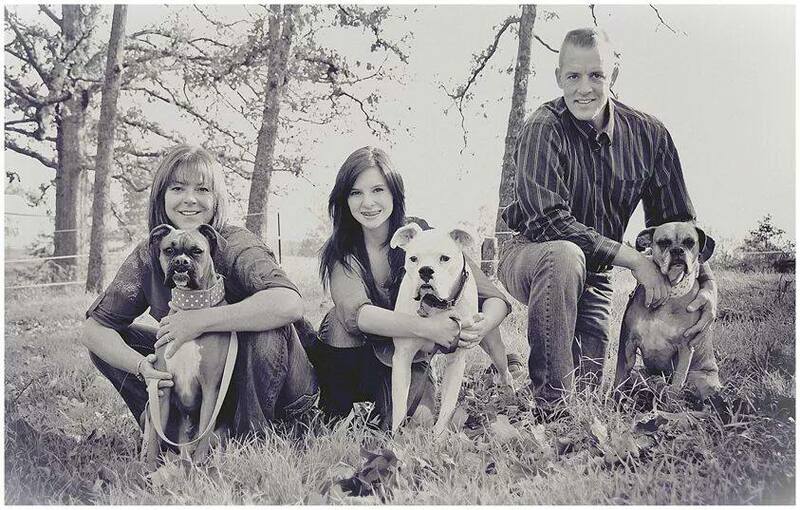 Our appreciation of Tiffany and Ken can not be expressed as they provide a valuable service for us enabling more homes to adopt boxers and schnauzers. BIG thanks to Ken, Tiffany, Xander and Ruby!!! Thanks to our St. Louis alumni for welcoming them into your home for your home visit. Volunteer Spotlight: what you say…this isn’t a volunteer, this is a vet clinic and you are right. Today we are spotlighting our vet clinic, Springfield Veterinary Center (417-887-8030), as they are not only our vet clinic, they are vol…unteers. They foster dogs, they do home visits, they help with meet-n-greets, transport dogs, organize fundraisers, help at microchip clinics and even adopt from us. All of this is OUTSIDE of working at the vet clinic where BSRO dogs are seen almost daily. At the vet clinic our dogs get the best care possible while keeping an eye on the bottom dollar as the staff know that rescues do not receive a lot of funds. We say our volunteers are the back bone of rescue and this is another example of it. A rescue is nothing if they don’t have a great vet clinic working with them. Springfield Veterinary Center is what holds this organization together by being patient and looking out for the best interest of our dogs. Many alumni still return to SVC even after they are adopted. 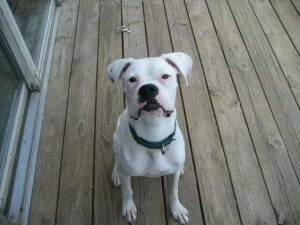 Because of the amount of boxers and schnauzers they see, they have become very knowledgable about these breeds too. 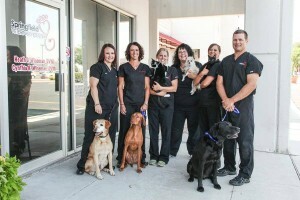 If you are in search of a new vet clinic, please check out SVC. Tell them we sent you at your first appointment and they will make a donation to our vet bill (which is significant we can assure you). How easy is that to help BSRO and get a wonderful vet. Thank you Springfield Veterinary Center!!! Volunteer Spotlight: Not all volunteers are foster homes. Meet Jim Hoovens owner of Wiseguys Screenprint. Jim wanted a boxer and we gladly helped him out. Bently turned on his charm and convinced Jim he needed to go home with him. The two have been inseparable ever since! Despite a destroyed couch, Jim still supports us and provides us with all these wonderful shirts you see us wearing and s…elling. Jim gives us great deals so that we can make the most profit to continue to help boxers and schnauzers in need. No matter what design we dream up for a shirt, Jim always says “we can do that!”. Without Jim and Wiseguys screen print we wouldn’t have all the wonderful shirts to provide at races and all the towels to provide at the golf tournaments. Wiseguys makes that possible. Jim is a prime example of how a person can support and volunteer for us without being a foster home. Thanks to Jim and Wiseguys. Please support them and tell them we sent you. Give Wiseguys a call for your next event (417) 831-5010! Volunteer Spotlight: Meet Scott and Stacy Benard, founders of P.I.M.P.S. (People Involved in Moving Pets Safely) the transportation branch of our rescue, they foster both breeds and are heavily involved in transportation for us bridging the gap between Kansas and Missouri. Three time foster failures, a Schnauzer Ernie and Boxers Tag and Maggie. Also probably the first Foster Stealer of the group They transported an incoming boxer to Springfield for the new foster family to pick up, got there and decided they weren’t giving her up. Like a fairy tale They lived happily ever after. Volunteer Spotlight: Meet the Rose family: Ricky, Ilene, Kelsey, Hayden and honorary family member, Thomas, here on an exchange program! Ricky works with our director, Casey, and we think she strong armed him into volunteering. Either way, it worked and the Rose family has been going strong fostering dogs. Their preference is minis but have taken on boxers too. They even fostered a bulldog sur…rendered to our program and their coffee table forever reminds them of that time. Kelsey and Hayden play an important role in our program as our official “kid testers”. Not all of our foster homes have children so we can always count on them to completely test a foster for children safety. Thanks for all you guys do. And a BIG BSRO welcome to Thomas! 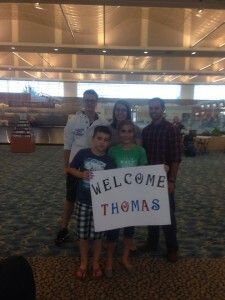 Welcome to America and welcome to the BSRO family! Volunteer Spotlight: Meet Chris and Jessi Altis and their two foster failures, Mackey and Stella. Jessi is another person who contacted and wanted to help just a little. Next thing she knows she has a boxer in her house eating her couch (seriously, Mackey ate her couch the duct tape pictures are Hi-LARIOUS!!!). 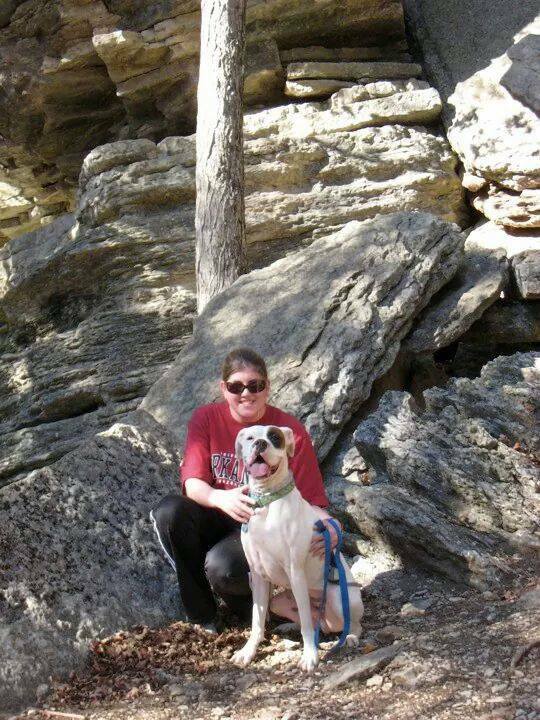 She loved Mackey’s decorating style so much she kept her and asked for more fosters.… Jessi is willing to take boxers or schnauzers and has had both at the same time before. No matter what happens such as a bridal shower cake being ate right before the shower (yes, again, seriously Ugg ate half the cake and it was pretty too) to a mini that just loves to snuggle, Jessi loves them all. Know what else is amazing, Chris decided to marry her despite all this! Chris has jumped into volunteering with both feet and been a great sport about it all. From helping at events to welcoming another foster, Chris just goes with the flow. As one of their first joint decisions as a couple, the both decided that Stella wasn’t going anywhere and made her their next foster failure. Big thanks to Chris and Jessi for all they do. And I’m sure Ugg is really sorry about the cake…..ok..probably not. Volunteer Spotlight: Meet the Merrill family: Doug, Gabriele and Caitlyn. The Merrill family contacted us to volunteer many years ago and have been going strong since then. They have fostered some of our famous cases such as Hero, Niblet and Rob Roy. 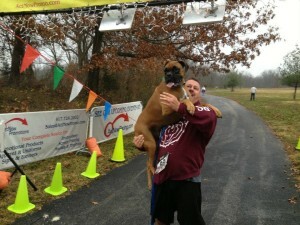 They don’t shy away from a challenge like having a boxer with two front broken legs. They are also our halfway point between Springfield and St. …Louis and are frequently involved in transports along I-44 for us. Along with fostering, Gabriele does a lot of behind the scene work for us. Grants, websites, emails and taking her turn with the rescue cell phone. Upon beginning with BSRO they shared their home with one boxer that came to them after being abandoned. Since joining the BSRO family, they have failed with two fosters, Vandaya and Horton. It is believed if Gabriele had her way, they would fail with them all.